There’s so much content online about anything and everything that it’s hopeless to try to keep up. One way to better spend your time is to identify the trend setters and influencers, and to take your cues from the most trusted sources. HaGoMeDo is a new startup that takes this understanding – often mentioned in marketing and social media – and applies it to… well, everything. HaGoMeDo (Have stuff, Go places, Meet people, Do things) ranks people in their areas of interest. 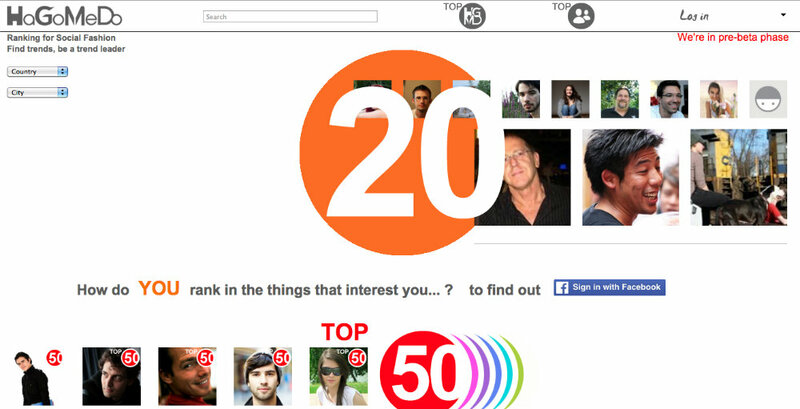 It has its own unique algorithm to measure online activity and rank people in everything from fashion to music to food to beaches to – you name it. Especially in niche areas, HaGoMeDo is a great tool for establishing yourself as an expert and getting noticed. With so many social channels and so much noise online, it can be tough to stand out from the crowd. HaGoMeDo is a destination where you can establish yourself quickly, even in overlooked subjects. It goes without saying that HaGoMeDo is a streamlined path for connecting with people who share common interests, regardless of what those interests may be. The wide open format of the site is attractive, because it gives users a lot of flexibility to use the site as they please. They can find others who share very specific areas of interest – rock climbing, burger joints, ragtime jazz. They can use it to find great places or things to do. Users can discover new outlets for enjoying their passions through others that have overlapping interests. And they can add new items to HaGoMeDo to ensure that there’s a space for anything that people care about. Not to mention, nobody is immune from being curious to know where they stand in any given field. HaGoMeDo is the way to find out. Are you really up to speed on the best restaurants where you live? Think you could talk genuine Italian cooking with a grandma from Rome? Here’s here you can find out. Are you a top 5, 20, or 50 expert on Harry Potter or local bars? Find out where you and others rank in the areas of interest important to you, at hagomedo.com.